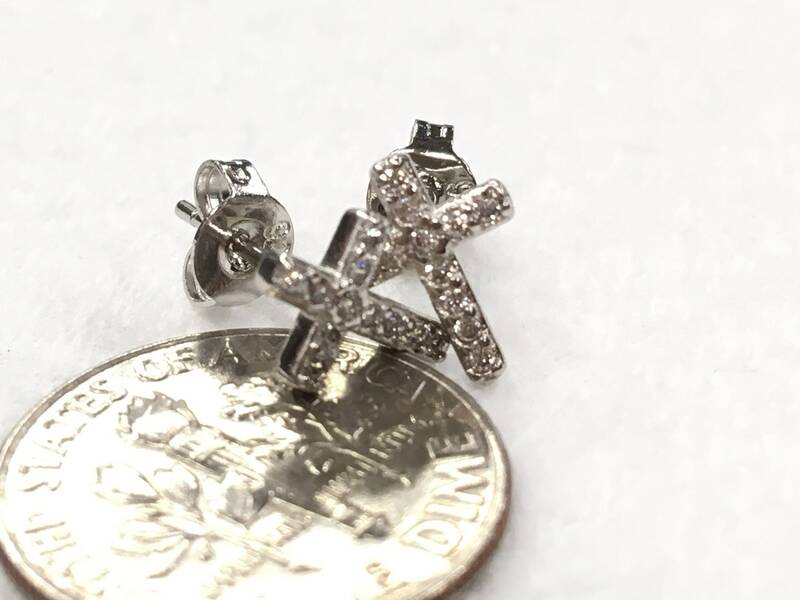 Tiny 1/4 x 3x8” Silver with Rhinestone Cross Earrings! Note the Dime in the foreground for comparison. Great alone or as an addition to your set. The perfect Tiny Small size. Dainty size is perfect for Engagement and Weddings. A Saint Michaels Jewelry exclusive.